“Now, I don’t want to see you on the news tonight,” Bart Horton jokingly warned as he handed bottles of wine to his customers at the tasting bar. The two women were on a Southern roadtrip, a little respite from the six feet of snow packed around their homes in Montana. As they drove down I-40 on their way to Nashville from Memphis, they noticed a sign for Century Farm Winery. 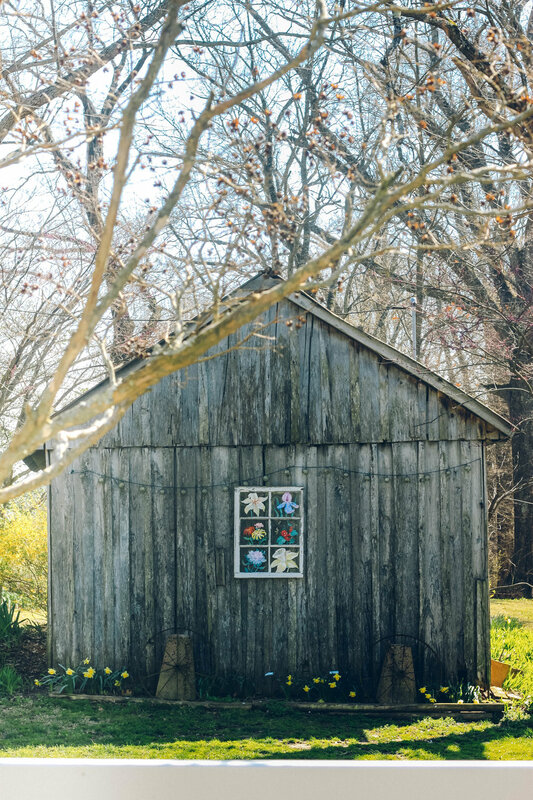 Turning onto exit 66, they were delighted by the stretch of idyllic Southern farmland—fields with green sprouts just poking out of the ground and wooden barns along a twisted, hilly country road. Making wine began as a hobby for Carl O’Cain, Horton’s stepfather. “Every year since , I’ve planted a Muscadine vine wherever I’ve lived,” O’Cain told the Jackson Sun in 2005. 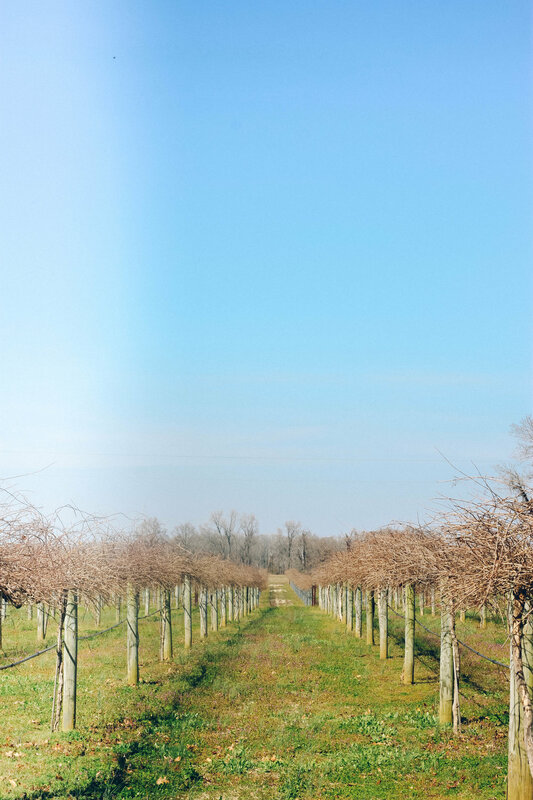 At that time, the vineyard only took up two acres; it now extends to thirteen-and-a-half with nine different varieties of grapes, including red Muscadine, which took gold medal and best of class at the Indy International competition in 2014. They use the grapes to make twenty-two different types of wines, from dry to semi-sweet to fruit wines. A former electrical engineer and computer technology business owner from Memphis, O’Cain retired in 2003 and began growing grapes on a trellis behind the house. He planned to use the grapes to make a few bottles of wine for himself but ended up churning out more wine than he had anticipated. In June 2007, he had 1,500 gallons of wine. He started selling bottles, and soon what was supposed to be a retirement hobby turned into a full-time business. Over the course of an hour, several people wandered in: a couple from Mississippi who had visited the vineyard a year earlier, a few vacationers, a small group of women looking for something fun to do, and a woman who had given up wine for Lent, a decision she ruefully admitted regretting as she inhaled the scent of the wine her son was drinking. 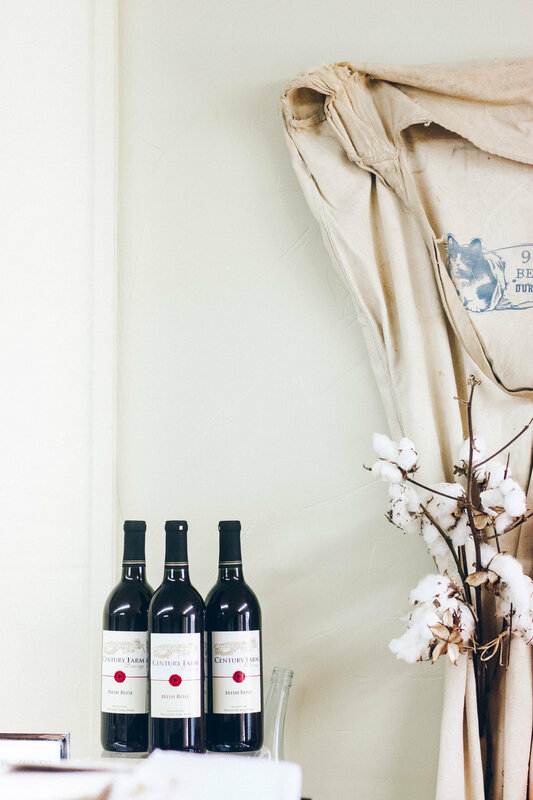 She ended up buying a bottle of the Poverty Point Red, which Horton described as a “smooth and balanced sipping wine,” to celebrate with on Easter. After graduating from college in Knoxville, Horton spent his life moving around major cities: London, Orlando, and Chicago. Last fall, he began thinking about coming back home, and his family relocated to Jackson in November. Horton convinced his wife to leave the Windy City and their family moved to Jackson. “It’s pretty cool, you know, to be able to see your mom for lunch every day,” he said. His dad lives about forty-five minutes away on the other side of the county. He and his wife, both retired, raise cattle. “I get my wine here and my meat there,” Horton said with a laugh. Century Farm wines are currently available at Picasso Bistro & Pizzeria and Flatiron Grille in Jackson, and Horton hopes to soon be selling their products at more downtown eateries, such as Chandelier Café and The Blacksmith Bar & Grill. He plans to keep distribution within a 100-mile radius so that the winery can self-distribute. When asked what makes Century Farm Winery different from other wineries, Horton didn’t hesitate with his answer. There’s a very simple reason that Century Farm feels homey: it is home. Horton’s family has owned the land since the 1830s. His mom was born and still lives in the quaint house with a screened-in front porch adjacent to the tasting room, which her grandfather built in 1910. Over the years, they’ve reinforced Horton’s great-great-grandmother’s horse and buggy stable. On Saturday nights, as many as 300 people gather at the old barn to drink wine and listen to bands play on the porch. Parents bring their kids to pick grapes in the vineyard. People book the rose garden for their weddings and birthday parties. 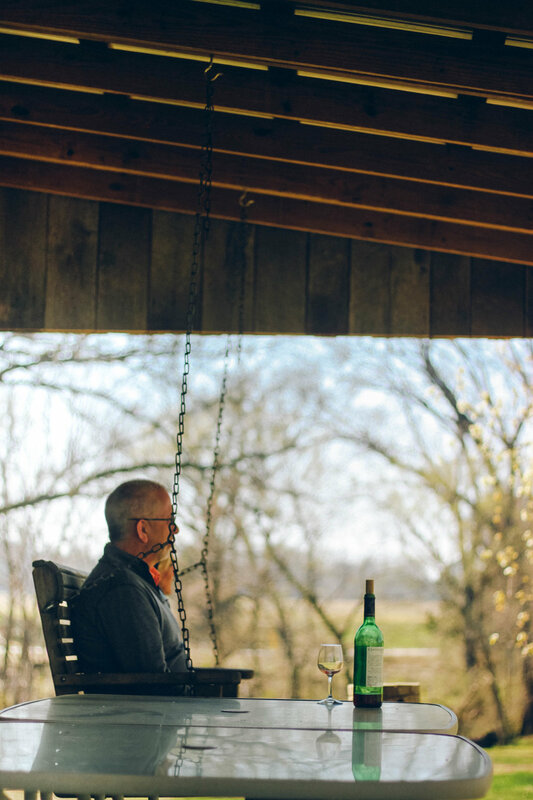 Whether they are sipping the homemade wine, cuddling the pets, or admiring the charm of Southern farmland, Century Farm is more than a 150-year-old farm or popular wine distillery; it is a place that welcomes community. 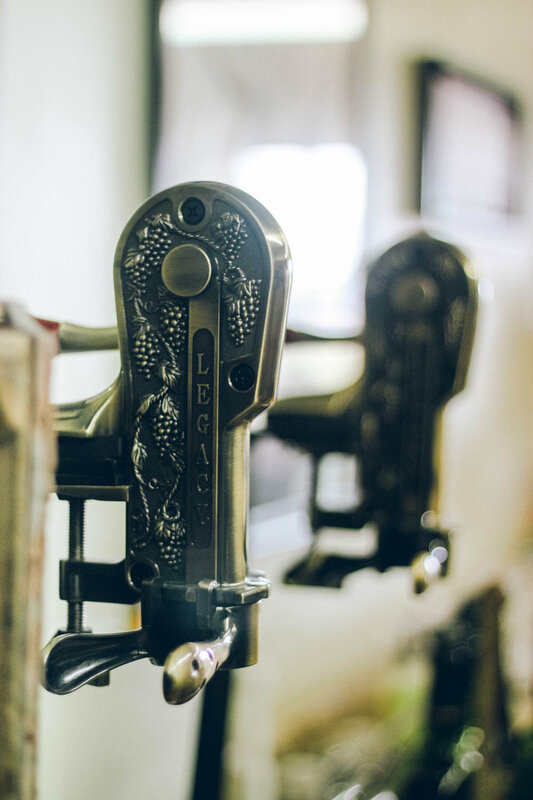 And just like it has been a part of Horton’s family for more than 150 years, it becomes a part of their lives, too. Century Farm Winery is located at 1548 Lower Brownsville Road in Jackson and is open 10:00 A.M. to 6:00 P.M. Monday through Saturday and 1:00 P.M. to 6:00 P.M. on Sunday. To learn more, visit their website or call them at 731.424.7437. 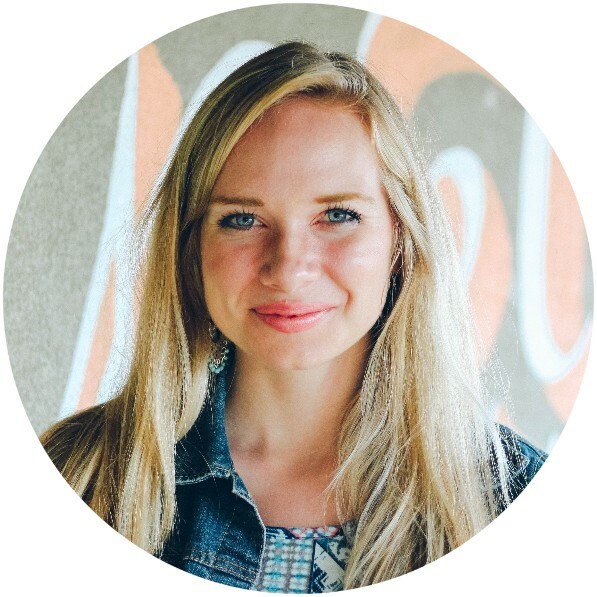 Forever a Florida girl, Ali Renckens is a journalism and English student at Union University, where she serves as editor-in-chief of the school magazine. In her free time, she enjoys blogging, drinking copious amounts of mint tea, listening to Irish music, and punching things at boxing class.